She is selling the patterns for these oh so cute felt play food. In a world of electronic everything sometimes it’s nice to step back to basics and just pretend. 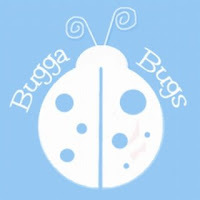 Welcome to Bugga Bugs, the ultimate place of childhood imagination and creativity! Everything here has been thoroughly tested by the ones who matter most… kids! All patterns are carefully thought out and detail oriented for hours of learning fun and imaginative play. They are perfect for your own children, grandchildren, nieces, nephews and friends alike. Patterns are made locally by me, a stay at home mom from Oregon,USA. Each pattern comes complete with pictures and step by step instructions as well as a cover sheet to help you stay organized. Patterns are e-mailed in PDF format. Adobe Reader is perfect for opening the files and can be downloaded for free at adobe.com. Go ahead! Give the gift of handmade. HELLOOOOOOOOOOOO!!! NO BLOGS IN HOW MANY DAYS!! R U OK??? ?